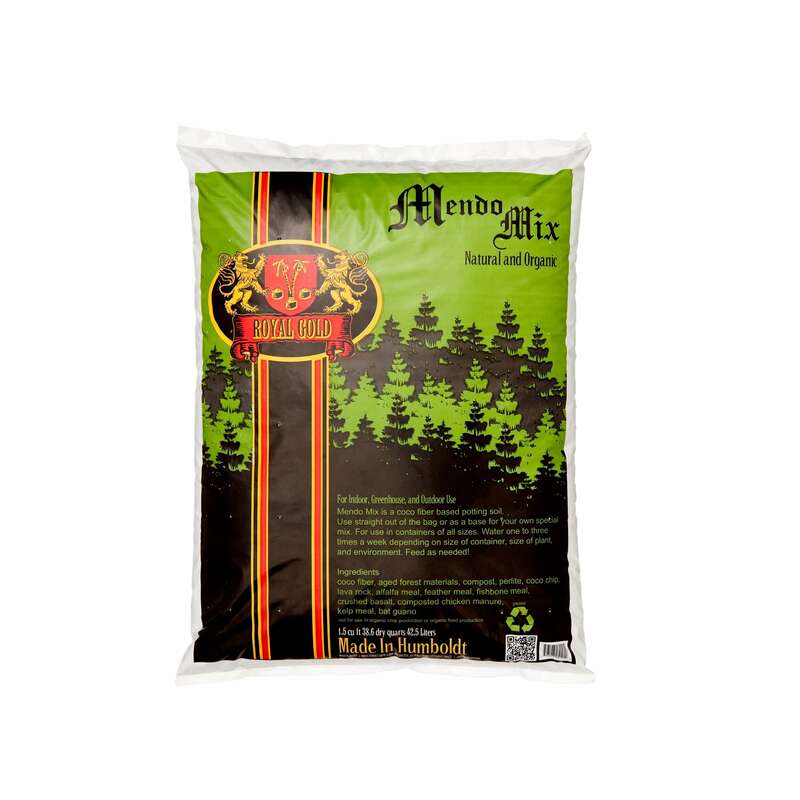 Mendo Mix, by Royal Gold, is the king of all coco soils. As a heavily amended planting style mix, Mendo Mix is ideal for outdoor gardening in hot climates and bed style gardens. 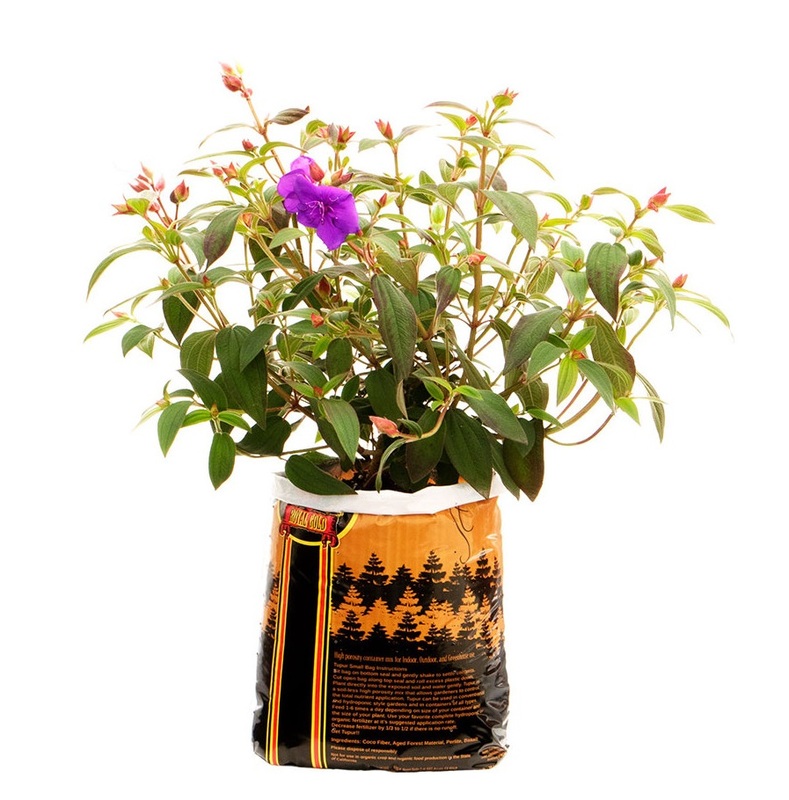 It also works wonders in traditional container style gardens, indoors or in greenhouses, especially for fast-growing annuals. Featuring a complex blend of high-grade dry amendments, along with strong water holding capacities properly balanced with air holding capacities, Mendo Mix allows gardeners to begin feeding after about four weeks of growth. This allows gardeners the ability to adjust their nutrient profile and feeding regimen, according to their crops specific needs, at the proper time. See for yourself why Mendo Mix rules in the emerald triangle! 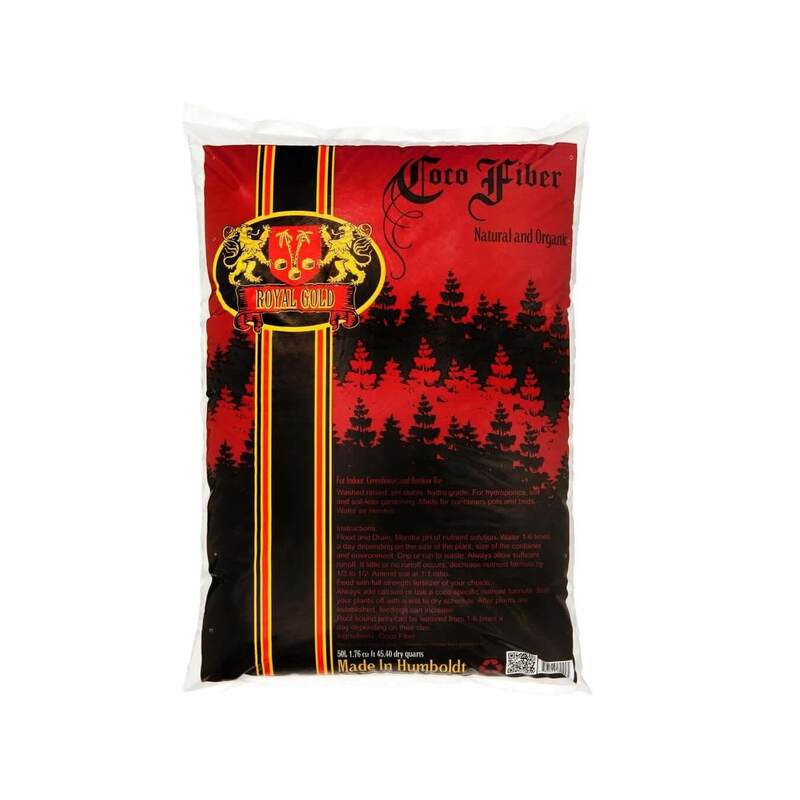 Royal Gold Coco Fiber is your choice for premium, clean, quality and consistent coconut fiber growing medium. Our loose coco is ready to use straight out of the bag as a stand-alone medium, soil conditioner, or a base for your own personal creation. Royal Gold imports the finest coco available and takes extreme care in meticulously rinsing and buffering all of our Coco fiber, at our own facility. Each batch is analyzed for nutrient and salt content, by an independent lab. This gives far greater quality control and consistency in our end product. Kings Mix, by Royal Gold, is your plant in bag solution for light deprivation, greenhouse, indoor, and outdoor gardens of any type. Born out of a need for simplicity in application and functionality. Kings Mix is a well-aerated, moderately amended coco peat blend. As Royal Gold’s first product to include peat moss, this mix will appeal equally to traditional peat gardeners of all styles, the coco curious, as well as die-hard coco fanatics. Featuring coco chips (croutons) to balance aeration with lingering water retention, this mix is intended to dry quickly and accept immediate feeding. 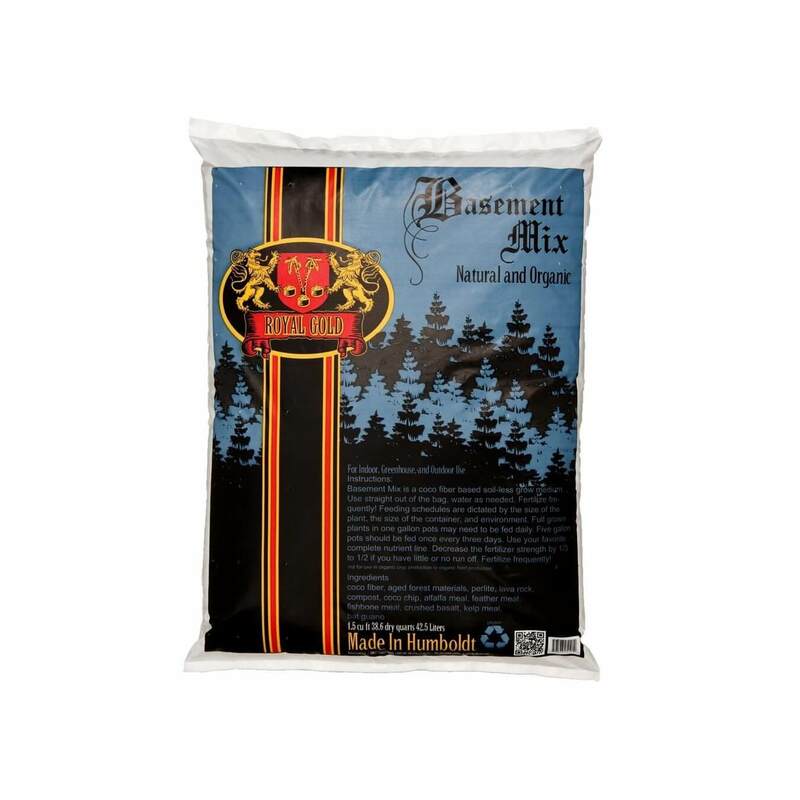 With a light amendment charge including high nitrogen, high phosphorus bat guano, and a mixture of other high-quality dry amendments, Kings Mix has everything you need to sustain your plants for 1-2 weeks. You can also begin a wide range of feeding programs right out of the bag. Due to the well-aerated nature of the Kings Mix, it’s the perfect medium for slow drying, coastal and high elevation, spring and/or fall plantings or other cool weather applications. With all these properties, the Kings Mix also excels at encouraging root development for the propagation of seeds and starts and is an ideal choice for developing starts into vigorous, bloom ready plants. 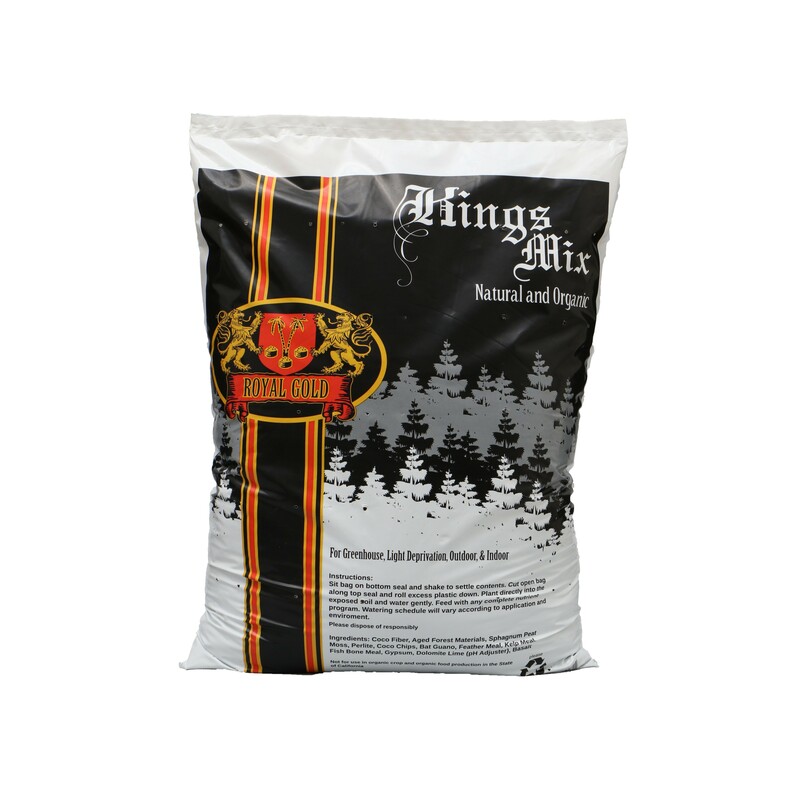 Kings Mix is available NOW available in newly released .75 cubic foot plant-in bags (about 5 gallons), 2 cubic foot bags, and also in 3 cubic foot plant-in bags (about 19 gallons). We also offer bulk quantities in 1 and 2 yard totes. Royal Gold’s Kings Mix is your choice for premium soil in a fast ready to use format. Royal Gold Tupur, pronounced (two-per), was designed with the idea feeding your plant as much and often as possible. It is a blank slate to create your own high performance feeding regimen. As a coco fiber based soilless medium, it requires high levels of calcium and magnesium to unlock its true potential. With an astounding balance of oxygen and water holding capacities, Tupur can be watered up to 1-6 times a day! This makes it an ideal choice for automated watering systems, especially drip (drain to waste or recirculating), Ebb and Flow. Even deep water culture, and aquaponics thrive in this unique and versatile blend. Yet it still excels in hand watered container gardens, with organic OR conventional feeding programs. This versatility has been key in Tupur quickly becoming a household name for cultivation experts and enthusiasts from coast to coast. 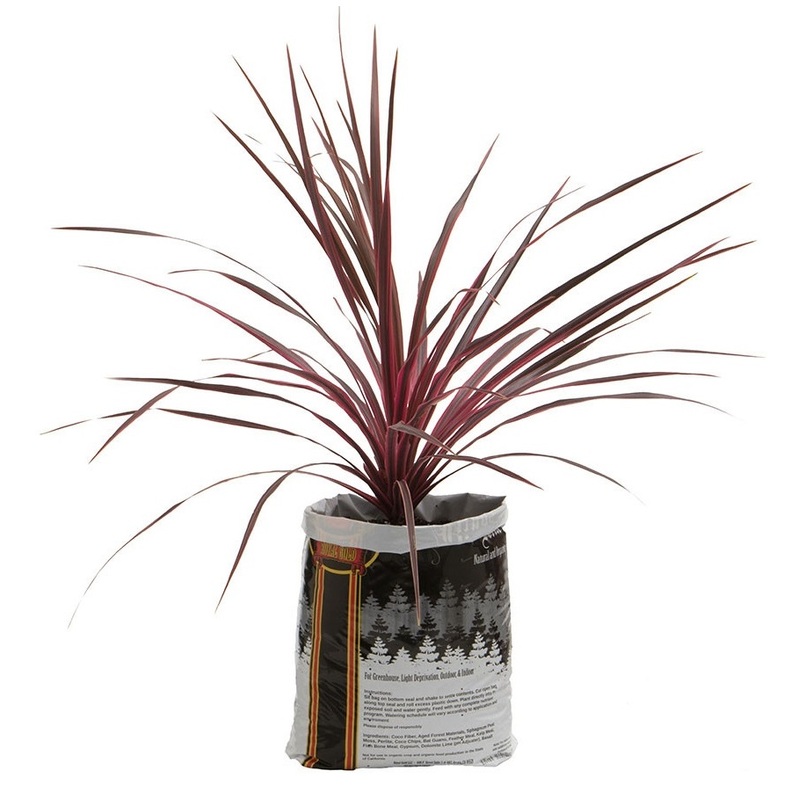 NOW available in newly released .75 cubic ft plant-in bags (approximately 5 gallons). 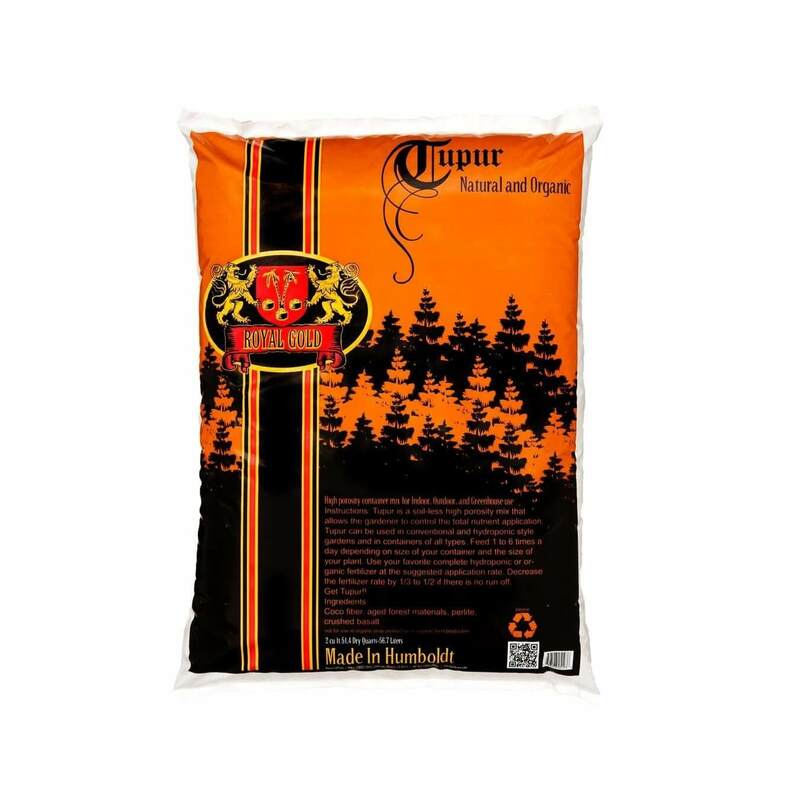 Also still traditionally packaged in 2 cubic foot bags, yet priced to compete with 1.5 cubic foot bagged products, Tupur can give you that extra bang for your buck, in more ways than one! Are you getting Tupur? Basement Mix by Royal Gold sets the standard for coco fiber based potting mixes. Developed through years of field application and trial and error, Basement Mix allows traditional container style gardeners to get the benefits of coco fiber without completely changing their system. Basement Mix is ready to use, straight from the bag with top quality dry amendments, and features an even balance of water holding and air holding capacities. Basement Mix performs successfully with organic/biological based programs and conventional feeding methods. It's designed to be fed with a complete nutrient program. Whether you water by hand or automate with drip emitters, sprayers or flood systems, Basement Mix will help turn your basement (or any extra space) into the jungle of your dreams!